Bits & Scraps Of My Life: I'm still here!! It's been a wild week or so....however long it has been since I last posted. I'm trying to keep the kids occupied and happy.......and keep them from killing one another. I'm almost to the point where I am willing to let em fight to the death in the front yard.....lol. Ok, not really :) But you know how boys are.....and I have five of em!! I have been battling a migraine for the past 4 days and finally feel human today. So I'm sure the kids have not really been THAT bothersome......it's just that when you have a migraine EVERYTHING seems major! We have been fairly busy. A few trips to the park, to the mall, and swimming. Today we are headed to the library to get registered for the summer reading program and Jacob and I are running some errands. I also have a new recipe goin in the crockpot right now and if it is worth eating I will share it.....lol. And then HOPEFULLY I can get some scrapping done too!!! I have a whole list of June challenges I wanna play along with! Speaking of Challenges........I made the featured list at Red Carpet Studios last week! WoOOT!! My badge is on the sidebar :) Thank you!!! I have a page today to share that I created using the this awesome pagemaps sketch. I THINK the anniversary challenges are still going on.......if not I still love the sketch and am happy I used it :) The challenge was to convert this to a 12 x 12 layout. I used mostly Echo Park Scraps for this one....I'm trying to bust my stash so I can justify buying the newer summer collections that I am truly drooling over right now! And there are a few of em!!! The cardstock and the Thickers are AC......the little fella (not Jesse but the other one....lol) is from Pink Paislee's Hometown Summer and I have been waiting and waiting to use him on SOMETHING! The bright and summer flowers are from Pebbles :) I did journal but not before I photographed my layout.......and its not a good photo because I have been using my cell phone....BUT my Canon is FINALLY fully functional once again. YAY!!! For me there swas just too much "space" left on the layout so I decided to sling paint all over it and then dipped a pill bottle lid in and made the circles. i just slung it right on the layout and actually dipped the lid into the splatters. I'm brave I guess.....lol. Berry71Bleu What do you love about summer. We spend a lot of time on out patio in the summer....so much so that Jesse always calls it "party on the patio". We listen to music and grill and just act silly and annoy our neighbors....lol. Thanks for visiting me today! I love having your drop in and your comments mean so much! have an awesome day!!! Welcome back Tina. Sorry about your migraine. Hi Tina! you make me laugh I imagine your five kids fighting in the front yard, lol! I remember when I was a little girl and I fought with my sis and today we are best friends, so don't worry this is apart of being siblings! ;) love all the paint on your page it looks fabulous! the little fella and Jesse has the same pose, poor of your neighbor, lol! nice to know how you enjoy your summer! Love the sketch and that photo. Thank you for joining us at Use Your Stuff. Love love love love your lo!! LOVING the colors and the circles!! Thanks for playing along with Berry71Bleu! Pinning your creation! Wow - 5 boys, I only have two (now grown up) and know what hard work they could be, you must have some real patience!!! This is such a fun layout, love how you have used all your bits of paper and the paint is a lovely touch. Thanks for joining us at Anything But A Card this time. Fabulous scrap LO - love the paint splats. loving all of the paint splatters! Sorry to be so late arriving to comment. Your layout is fab! I love the cool photo and all your elements work so well with a photograph of a boy. I take my hat of to anyone who has a five children (I was one of five too) but five boys - I'd give you a medal too! Thanks for joining us at Anything But A Card this time. Hi Tina! First off, I do hope your migraine has subsided. I have a friend who is on day 3 of hers - not fun at all. 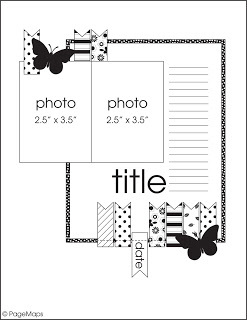 :( What a great layout of this scrapbook page! Your details are so much fun for this summer theme. Thank you so much for joining in on our challenge over at The Pink Elephant. Hope you are feeling better and that your kids are behaving! Love your layout and the circles! Thanks for joining us at Berry71bleu! You did a great job using all your scraps for this page! I have that summer chippies too that I still have to use. I can relate with the migraine. Hopefully it's better now. Thanks for joining us this month at berry71bleu. Cool picture and layout. Love the colors! Thank you for playing along with Berry71Bleu.